Congratulations to the US Olympic Men’s Basketball team, winning the gold in Beijing. Rumours are that Kousuke Kitajima, considered by many to be the best breast-stroker of all time, is considering retiring post these Olympics. Whilst he assures that he hasn’t made up his mind as to his future, the inside word in Japan is that he’s done with swimming. Well done girls – keep going! Kudos to Aussie beach pair Andrew Schacht and Joshua Slack for getting through to the knockout rounds of the Olympic beach volleyball tournament. Schacht and Slack sit on top of Pool C, and are guaranteed of making it through, regardless of their last pool play game with Brazilians Emanuel Rego and Ricardo Santos, this Wednesday. Nat Cook and Tamsin Barnett are doing well, and look to make it through. With the 2008 Beijing Olympics Opening Ceremony only hours away from happening, it’s important to remember that politics has never been too far from sport. A much as some people deplore that, it’s a simple fact that sport is often used by governments to send a message, and sport often provides a platform for those that normally don’t have a voice. The Olympics aren’t any different, never have been. Well… at least until now. 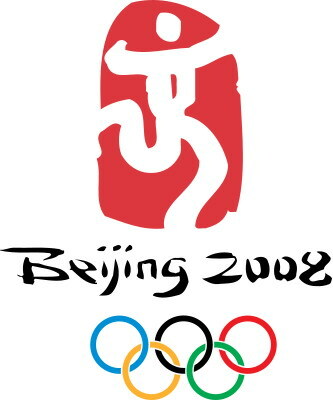 The 2008 games were given to China on the proviso that they’d improve their human rights record. That, and several other conditions regarding pollution, isn’t something that the Chinese government seems to be too concerned about… and world governments have reacted with little more than indifference. To be fair, many have offered platitudes about human rights abuses, but China’s just to big a market waiting to be plucked from the tree. Massive companies such as Nike and Coca Cola, have issued directives to sponsored athletes that they are not to indulge in making political statements whilst at the Olympics. The same with many governments. The depressing thing is, that a very large political statement is being made by the Chinese government: we are free to do as we damn well please. The disdain that they’ve treated pretty much everyone who’s said anything contrary to what they’re allowed to say. And heaven help anyone who steps over the line they’ve drawn in the sand. Twice now, Japanese media personnel have been beaten. The Daily Yomiuri reports that a group of border patrol policemen detained the reporter at a paramilitary border patrol facility on Monday. The reporter was punched in the face several times. A Tokyo Shimbun photographer was surrounded by a group of paramilitary policemen in Kashgar earlier on Monday as he took photographs. The policemen seized his two cameras and took him into the facility, where he was kicked in the face and the side. US former Olympian Joey Cheek had his visa revoked – and is now not welcome in China – due his involvement in the athlete-led Team Darfur, a body that will protest the Chinese support of Sudan… a country currently involved in some pretty heinous acts in the war-ravaged Darfur region. Still, athletes often find a way to speak. The selection of Lopez Lomong by US team captains to carry the American flag is a pretty big statement of itself. Lomong is one of the Lost Boys of Sudan, and resettled in the US. 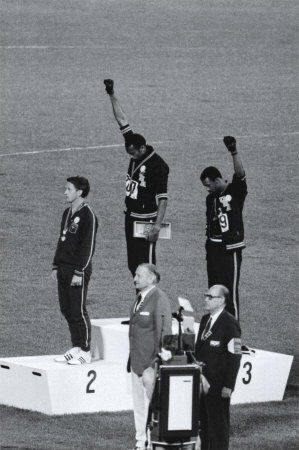 Still – it’s rather sad, that in a time where perhaps the world at large could gotten something done, made even a small change, we’re unlikely to see statements made even with the quiet power that Tommie Smith and John Carlos made in the 1968 Olympics. Even IOC president Jacques Rogge now refuses to make any comment about improvement of human rights, pollution or freedom of speech… steering well clear of contentious issues – all requirements set down as provisions when Beijing was initially awarded the Olympics. US President George Bush has made comments about the lack of free speech, and Australian PM Kevin Rudd has stated that he’ll raise the issue of human rights “with our friends in China” whilst he’s there… but this amounts to little more than playing semantics – both nations have it within their power to do oh-so-much more… but to upset China would be tantamount to political suicide. Even Amnesty International has backed down a little on the strong stance they initially took, refusing to use the stronger pictures within their Olympic campaign. There’s no doubting that the Olympics in Beijing will be a huge success. The stadiums et al look amazing, and no amount of money has been spared in making this China’s coming out party into the world. It’s just a pity that the world’s not being a little more discerning.